Replacing old, outdated furnaces with an efficient heating system is a simple thing you can do to make your home more green and energy-efficient. Apart from the initial installation costs, modern furnaces are made to provide comfort while having an insignificant impact on the environment. Your house is more than just walls and a roof, it’s a complex system comprised of various components that determine the level of safety, health, and comfort. With the passage of time and technological advancements, HVAC manufacturers now better understand the heat, air, and moisture movement in a building, enabling us to manage or control the indoor environment in a very systematic way. If your furnace was installed in the 90s, you shouldn’t wonder why your monthly heating expenses are so high. Obsolete home appliances aren’t helpful when it comes to curbing pollution and energy waste. The early furnace models were required to convert at least 78% of fuel into heat. Now, the efficiency level has climbed as high as 98.5%, which means that up to 98.5 of fuel should be considered as convertible energy and heat. Therefore, if your furnace was installed 20 years ago or more, it’s time to replace it and save energy and reduce that utility bill. Most heating systems use gas which is a common heating fuel. How efficiently your furnace turns gas into heating energy is measured as a percentage. In addition to reduced power consumption, efficient furnaces produce fewer emissions. Also, the environment must be taken into account before making a purchasing decision. There are a number of manufacturers selling furnaces in Canada. How can you make the right furnace buying decision? There are so many factors to consider: models, features, sizes, warranties, efficiency, costs, etc. Nowadays, everything boils down to energy efficiency, comfort, and warranty. The Government encourages households to buy home appliances that produce maximum results while consuming minimum energy. For example, purchasing a furnace with a high-efficiency motor, which is also called ECM or electronically commutated motor, can help you qualify for a rebate. In order to get a rebate, you have to follow a few simple steps. 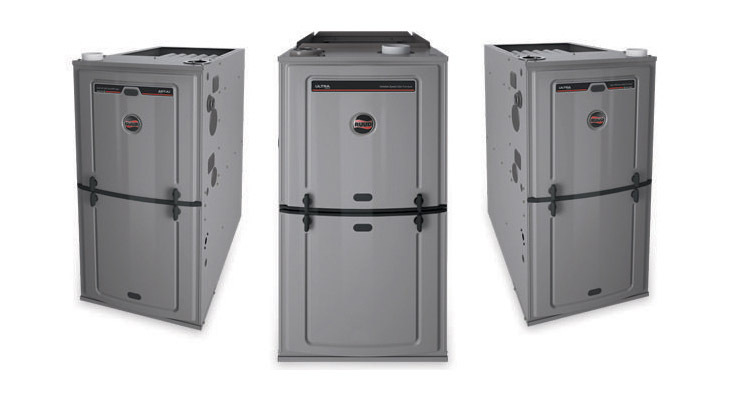 Most of the latest furnaces offer 90% efficiency. However, when you buy a new furnace, make sure it has an ECM so that you can save more and receive a rebate. If you’re not sure which model you should select for your space, contact Nor-Can Heating & Air where we not only provide HVAC repair & installation but also help with building energy-efficient houses and offices. From HVAC emergency services to new installations and repair, we add value to your home by making it more efficient. Contact us for more information!